When was the last time you saw 16 feet of snow covering a mountain? If your answer isn’t within the last week, it might be time for you to go to Vail, Colorado. The 2018/19 season is shaping up to be an incredible one. Almost 200 inches of snow has fallen so far, and the conditions now are arguably better than they ever were last year. Consistent snow accumulation and cold temperatures are the perfect recipe for the light, fluffy snow that the Colorado Rockies are famous for. It snowed almost every day in December, and 26 inches fell in just the last week! At this point, any amount of snow on the current 58 inch base will make for some dreamy turns. There are a plethora of places to enjoy this wonder of nature, but few can rival the experience offered by Vail and Beaver Creek. 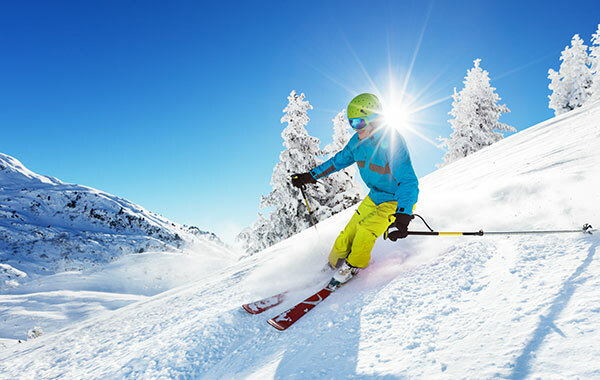 Vail alone boasts more than 5,000 skiable acres, giving you access to numerous wide-open bowls, and diverse terrain no matter what your ability. Beaver Creek provides a more intimate, exclusive experience with world renowned service and amenities, not to mention some of the best tree skiing in the country. Stunning views surround the Vail valley, and there are ample options for all of your dining and lodging needs. A beautiful hour and a half drive west from Denver is all it takes to get you out of your winter doldrums and into the rocky mountain high. Or, if that isn’t quick enough, try flying directly into the nearby town of Eagle and cut out the commute entirely. Upon arrival into the Vail area, you’ll be pleased to find some wonderful places to relax after a long day of world-class shushing through knee-deep powder. The Vail Marriott sits at the base of the gondola and just steps from Vail Village. With architecture reminiscent of a Swiss mountain town, you’ll be eager to try some of the fantastic food and local brews that Colorado is known for. Live music and entertainment are easy to find at one of the great bars around the village. Try the Shakedown Bar for a local and intimate experience, or the more upscale Remedy bar, both an easy walk, or stumble, within the village. When you’re ready to start your day off on the slopes, it couldn’t be easier. Complimentary public transportation is readily available, and service is provided to both Vail and Beaver Creek. You can even ski both resorts! A pass or lift ticket is good for both of them, so you absolutely should. If you’re not bringing your own equipment, there are tons of great places to rent from. If you’re staying at the aforementioned Marriott, they can set you up with a pair of award-winning Icelantic Skis, designed and made locally in Colorado. So do yourself a favor and take advantage of the epic snow year at Vail. The way things are looking so far, it just might be one for the record books.